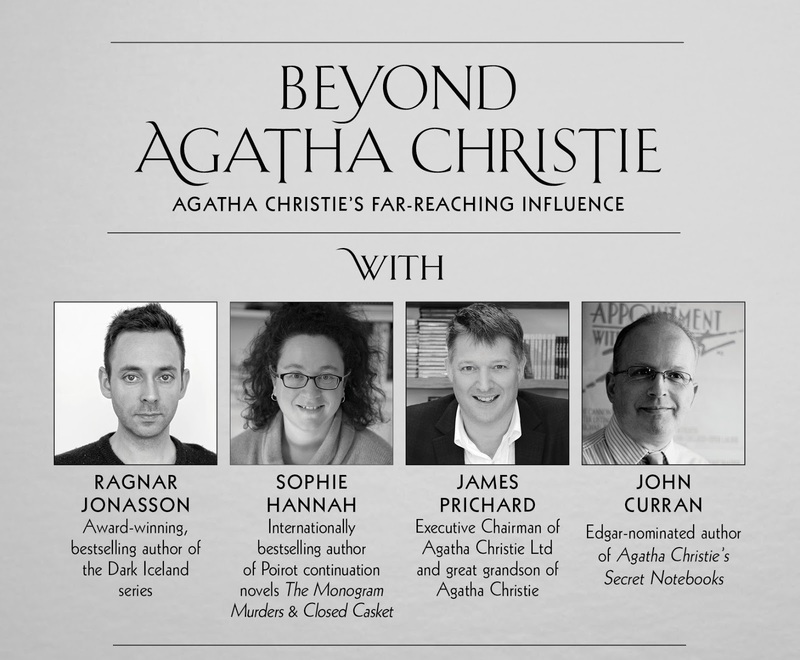 I attended this event on Wednesday, 7th June, organised by Goldsboro Books, and held at Browns Judges Court, where a panel of Agatha Christie experts discussed the Queen of Crime, her far-reaching influence over crime fiction and golden age crime itself. The panel, sponsored by GAMMA, was made up of Sophie Hannah, internationally bestselling author, and author of the first new Hercule Poirot mysteries since Agatha Christie’s death, Ragnar Jónasson, bestselling author of the Snowblind crime series and lifelong Agatha Christie fan. 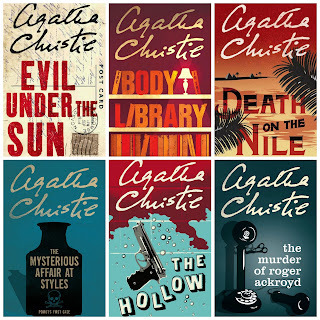 Ragnar has translated 14 of Agatha Christie’s titles into Icelandic. Also John Curran, Edgar-nominated author of Agatha Christie’s Secret Notebooks (2009) which won the 2011 Agatha, Anthony and Macavity Awards and his Agatha Christie’s Murder in the Making (2011) was also nominated for all four awards, and then finally, there was Agatha Christie’s own great-grandson, James Prichard, executive chairman of Agatha Christe Ltd, the company that manages the literary and media rights to Agatha Christie’s works around the world. Introduced by David Headley, he quickly handed over to John Carran who was chairing. John asked the panel: What was the first Agatha Christie (AC) book you read? Ragnar Jónasson said Evil Under The Sun (1940) when he was eleven. Sophie Hannah read The Body in the Library (1942) when she was twelve. And by the time she was fourteen had read all of Christie's novels twice! James Pritchard, great grandson, had recollections of an old woman coming to stay. He was told he had to behave and not to knock her over. He discovered she was so much more on the day she died when he came home from school and his father had shut himself in a room and was unresponsive. And there was his great grandmother, Agatha Christie on the news. He said, "That was the day I realised there was this dual thing going on, on the one hand a warm woman and on the other, a legend. Two people in this one person." The first book he read was Death on the Nile (1937). He stole it off the shelves and read it really quickly so it wouldn't be discovered missing and he'd be able to put the novel back on the shelf without being caught. John also asked: What was it that you enjoyed about Agatha Christie's novels? Sophie spoke about the pleasure of the story, how it was foregrounded and of the elegance and flawlessness of the structure. She added that Christie's top priority was for the reader to have a brilliant time. John asked Ragnar what made him start translating Christie's novels into Icelandic especially as the stories were so English, so old fashioned. And in particular he wondered how the clues translated? Ragnar said he began translating out of necessity. He had read everything in Iceland, and he ran out of books. So he started reading in English. At 15, he wrote for magazines but didn't tell them his age. At 17, he went to the publishers and told them he was a big fan of Agatha Christie and wanted to translate her works. They let him choose which one. He chose Endless Night (1967), because it was the shortest one. He said it was very difficult to translate some of the clues and so he sometimes used English words which meant the clue stayed in the book. He added Christie was a brilliant plotter and that the stories worked by crossing all boundaries. She keeps you wanting more. Very readable. A lot of people in Iceland read Agatha Christie first, it was their introduction to a foreign language. Sophie felt the murder mystery books have a magic quality. You start reading for example Murder in the Mews (1937). It's just Poirot and Japp commenting how strange it is that people don't commit more murders on Bonfire night as the bang could disguise a gun going off, and what happens? There is a murder. The stories are archetypal. Can't get anymore storyish than Agatha Christie. Blends opposites. Good with evil. Not a light read and yet she is read all over the world. She is still the best writer. And we learn so much, for example in The Murder at the Vicarage (1930), there is the desire for survival and we learn about the human condition. Ragnar added that being very English, is part of the charm. He didn't understand walking out of windows, until he realised this was the English French windows and that the characters seem to eat a lot of kidneys. Possibly, he said, that while translating, something of Christie slipped into his own storytelling either consciously or unconsciously. He learnt from her plotting. "She's done all the good plots." The other thing she did well was the setting. Her world is known as Miss Marple villages. John asked Sophie whether when writing her Poirot continuations, had she told herself not to do this or that? Sophie replied that she knew there were things it would be hard for it to be. It had to be Christie-ish. Unguessable. What Christie did was fool you until the end. And yet she waves all the clues around. Even tells you to think about the footprint in the snow. She's so confident you won't get it. None of this was conscious thinking. "Both my crime novels have openings where something very weird happens." For example in Closed Casket (2016), an elderly woman leaves everything to a terminally ill woman. In Christie's A Murder is Announced (1950), everyone goes to a house where the murder is supposed to take place and they turn it into a jolly event, well we'd better get some sandwiches in!!! It's deeply surreal writing. John wondered if Christie is darker and more edgy than we're led to believe? Ragnar added that in fact in Iceland, people didn't believe it was a real adaptation as it was so dark. Sophie said, Christie had a literary agenda. She was exploring how people balanced their dark sides. And yet, Sophie added, the thought of reading an Agatha Christie is comforting, like chicken noodle soup even though the novels deal with heavy topics. Ragnar said, Sophie is right. They are cosy to read, it is comforting to grab something you've read before. Tony added that the novels are set in Agatha Christie time. Sophie went on to explain Christie was dealing with warped, evil minds and yet the 'I' of the book has an awareness of the danger. In Death on the Nile (1937), the characters are warned they are heading for proper bad evil if they don't watch out. And yet it is comforting that Poirot know this, he is in control of the situation. In those days, said Tony, murderers went to the gallows and then everything returned to normal. He then asked, Is Poirot a character or a caricature? Sophie replied, he's a character, amplified, an exaggerated persona like a super hero. We never learn anything about the detective character's background, either Poirot or Miss Marple. They are there when needed like mary Poppins. In this way, it sets them apart from other characters, backed up by many years of accumulated wisdom. 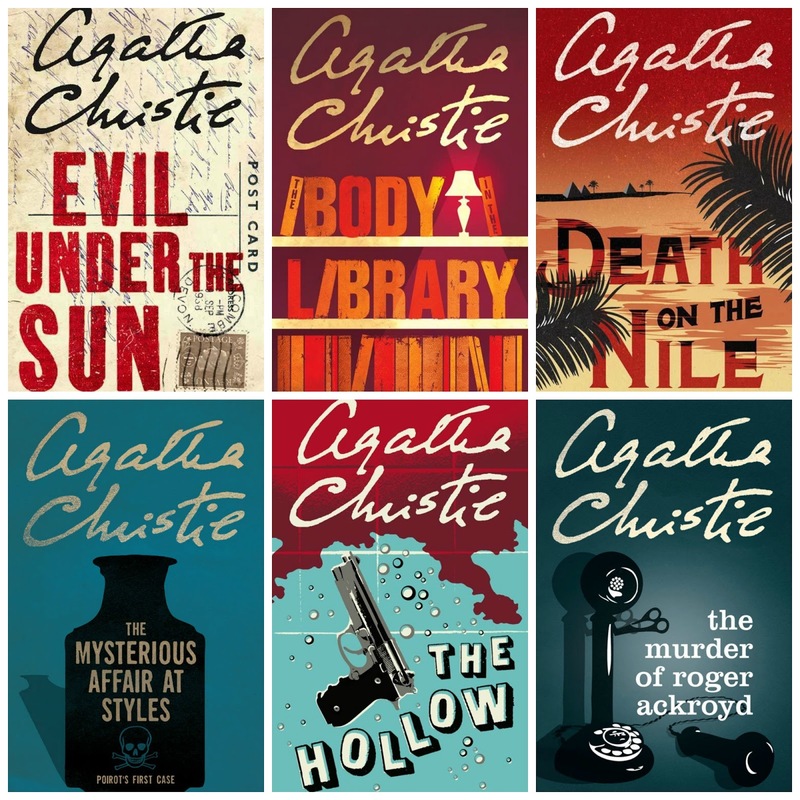 Tony's final question was: Tell us what book you would recommend for someone who has never read Agatha Christie before and which one would you take to a desert island? Ragnar chose The Mysterious Affair at Styles (1920), as the recommendation and for the desert island, The Murder of Roger Ackroyd (1926) which he read when he was a child. They couldn't buy it from anywhere and so he went to the library every week with his father and read it in there. Sophie's recommendation for the desert would be The Hollow (1946) it has an emotional depth. Her recommendation for someone who has never read an Agatha Christie is Body in the Library (1942), it was the first one she read herself. James' desert recommendation was A Murder Is Announced (1950), and for a first read recommendation And Then There Were None (1939), he says it is her best novel. James finished the talk by explaining there were lots of exciting things happening in the future. He explained they would be republishing Agatha Christie's plays, some of which haven't been available before. And that one of the plays would be put on 'near here' it will be site specific, but he added mysteriously, 'I can't talk about it'. I'll just add that it was a fascinating and interesting evening for an Agatha Christie fan like myself. I bought some books and got the authors to sign them. I told Tony Curran that when I was younger I always knew who the murderer was. He seemed astounded by this revelation and asked how. I told him I was very clever, and he said - good answer. But the truth is, I believe I had close on to a photographic memory which unfortunately doesn't work as well as it once did. I could never re-read a book or re-watch a film because I remembered everything from the first time round and it would drive me bonkers as I hated knowing what would happen. I wanted the mystery and challenge of solving the crime. As Sophie Hannah said, there is something very comforting about reading Agatha Christie. I'm not sure that she got to the heart of what that was. But for me, it is about the structure. I suspect I found safety in the reading that I didn't have in real life. And with Agatha Christie I had tradition, afternoon tea, Earl Grey (of course), an old England, front gardens, hedges and lawns. I knew I would be safe in the narrative of Christie's books even though the plots were often very different. But, they always ended up in the same place. Normality. Life would go back to how it once was though there was always change. Often love too. Even if in Poirot's case it was always unrequited. At the launch of The Wild Air in May, Rebecca Mascull spoke about the early female pioneers who risked their lives and how much we owe them. She told of how she sat in one of the Edwardian planes that looked so fragile she worried that her shaking with cold and fear would damaged it. When shy Della Dobbs meets her mother's aunt, her life changes forever. 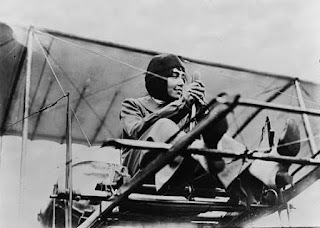 Great Auntie Betty, ‘the Broughton disgrace’ who married a ‘common fisherman’, has come home from Kitty Hawk, North Carolina, across whose windswept dunes the Wright Brothers tested their historic flying machines. On the first night home, Betty discovers Della has inherited the family talent for fixing things. A window opened in Della's mind, a dozen windows flung open. All this time, she'd crept through her life shamed by her uselessness. And now, to discover she had had a talent, born in her, handed down like a precious heirloom. She could be special. She could shine. Puck, Della’s brother, gets pneumonia and Della is packed off to stay with Aunt Betty. Almost immediately they start to make kites and take them to Cleethorpes beach where they learn about the mechanics of flying. Della develops a burning ambition to fly and Betty is determined to help her. But when Aunt Betty wants to take Della to see a ‘lady flyer’, Della’s father absolutely forbids it and she finds herself having to lie for the first, but not last, time to her family. This was a time where women did not wear trousers, though Girl Hawk did and had made a specially designed flying suit. Della soars, and so too does the reader’s heart. But when the car breaks down on the way home from Burton on Trent, she and her aunt are stranded and they have to find a hotel to spend the night in. The following day, Della will have to tell her formidable father the truth of why she did not come home when she was meant to. Della of course deals with her father in her quiet, competent and determined way, the same way she will go on to disregard the taunts of men in the schools of flying. With World War One looming, the reader will visit the airfields of Britain and Europe, the horrors of the First World War, and experience the bureaucracy and stupidity of rules and regulations. The fictional quiet Della has a strength and determination that matches the real-life amazing exploits and braveness of the first female aviatrixes. Mascull’s research is meticulous, some of which she explains at the end of the novel. History, historical fiction and romance, the novel encompasses all three. Mascull travels back in time and writes her version of clever women’s lives by paying great attention to detail. We see the prejudice and misogyny that they had to deal with on a daily basis if they dared to leave the home, be different and insist on experiencing and claiming what was then a man’s world. “If you were poor and a woman, you were seen as a different species. I questioned, suppose you had a good idea, how would people hear that? Statues throughout history are rarely to women. 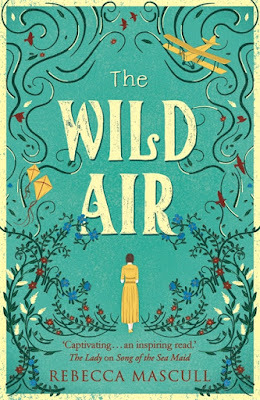 My books are like a statue to those people.” Rebecca Mascull, Launch of The Wild Air, Saturday May 6th, Waterstones – Piccadilly. Thanks to Hodder & Stoughton for the review copy. At the launch, Rebecca mentioned Rob Millinship who helped with the research and apparently took one and half years to get her to go up in a light aircraft Cessna plane. Read about that here. And for those of you interested in visiting Shuttleworth where Rebecca spent some of her research time, see here.